Question about bed bug bites! I have been breaking out into massive hives over the past month, and have noticed they are most severe in the morning when I wake up or (starting last night) in the middle of the night. I am concerned that these are from bed bugs, but I also break out during random parts of the day, even when I've been away for the weekend and not sleeping in my bed. Any thoughts? I am going straight home from work to inspect my bed!! Sorry to hear about your problem. It is possible to have a relatively immediate or delayed response to bed bugs bites since it is an allergic reaction. 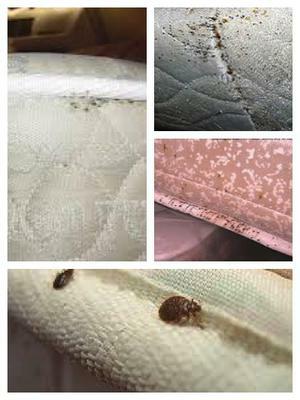 We would suggest looking for other signs of bed bugs in your home such as on your mattress. Also, if the hives are on skin areas that are covered when sleeping then it probably is not due to bed bugs since they do not bite through clothing. As an experiment try wearing socks, tuck in any pajama pants and tuck in your shirt. If you still break out in hives, then bed bugs are not to blame. Consider other causes such as allergy. You could also have a skilled exterminator check your home such as from a reputable service such as Home Advisor (866-214-8380).